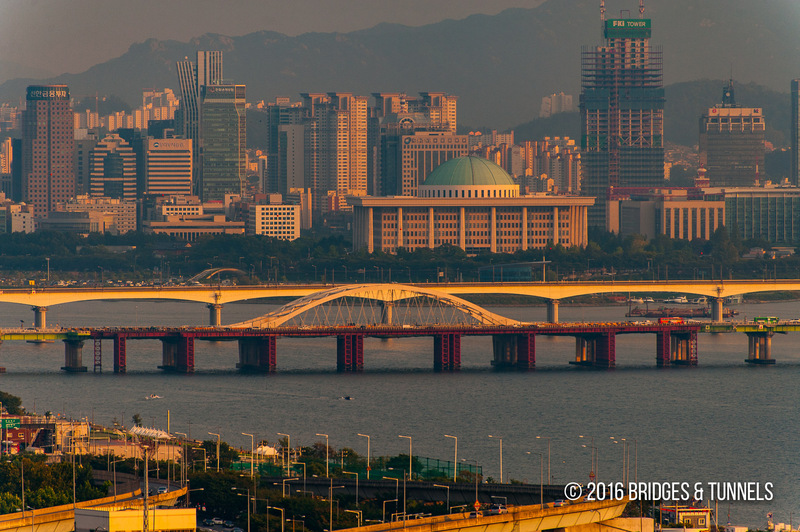 The Tangshan Railway Bridge (堂山铁桥) carries subway line 2 across the Han River between the Mapo-gu District and Yeongdeungpo-gu District in Seoul, South Korea. Construction on the bridge began in February 1980 and was completed in November 1983.1 The project required 6,400 tons of steel plate girders and 1,400 tons of reinforcing steel. 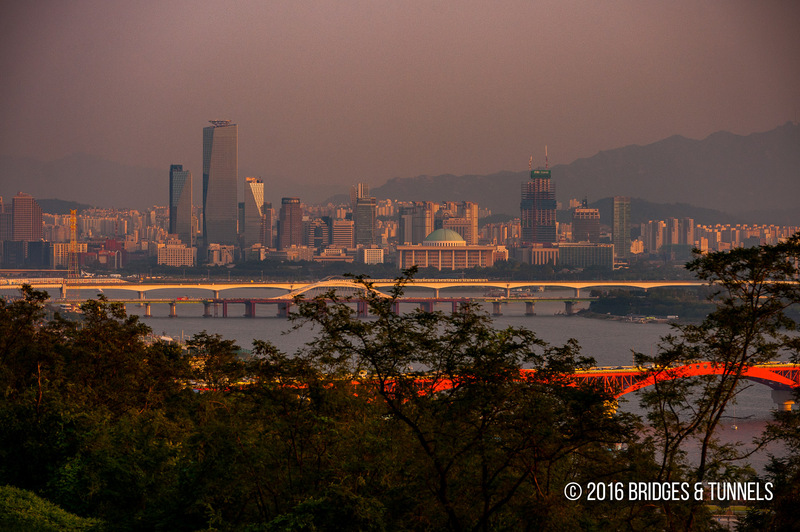 After the collapse of the Sungsu Bridge in October 1994 that claimed 50 lives, other Han River bridges were inspected for any deficiencies or construction flaws. It was discovered that there was numerous construction issues with the Tangshan Railway Bridge and its superstructure was demolished in December 1996.1 The bridge was not reopened until November 1999. “Tangshan Railway Bridge.” Naver Knowledge Encyclopedia. N.p. : NHN, n.d. Web. 15 Nov. 2012. Article.